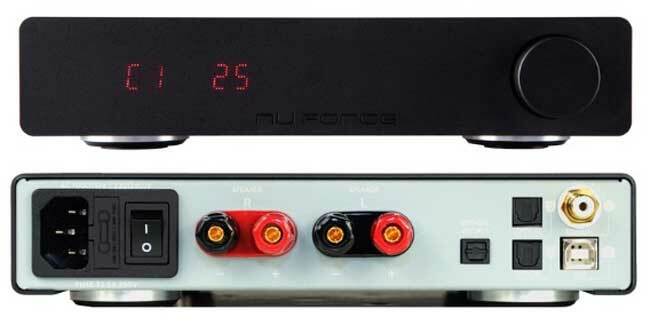 NuForce has announced a new amplifier aimed at audiophiles called the DDA-100. The new amplifier is far from cheap at $549 but promises to deliver the sort of sound that is typically reserved for much more expensive audiophile hardware. The key to the performance of the device is that it doesn’t require the typical DAC stage that most amplifiers use. Rather than relying on a DAC, the digital to analog conversion of the audio is done in the PWM power amplifier stage. That means the conversion from digital to analog takes place at the speaker outputs. The long and short of it is that you get better sound quality. The device has 50 W RMS and 250 W peak power. It has one USB input, one coaxial input, and two optical inputs. It also ships with a remote control allowing you to control input and volume from across the room.